Document Foundation Released the New Libreoffice 4.2 with lot of new features. The Libreoffice 4.2 is now available on main PPA of ubuntu. The new version brings better interoperability with Microsoft OOXML, a new monochrome icon set (not enabled by default), GNOME 3 Application Menu integration and more. 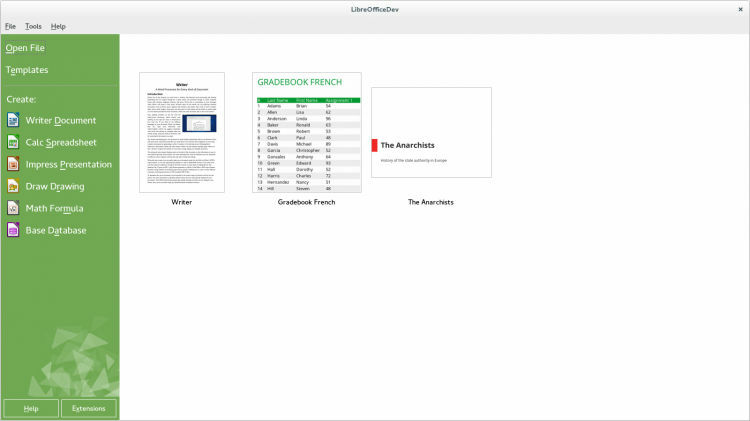 Libreoffice 4.2 comes with large number of performance and interoperability improvements. an import filter for Abiword documents. improvements to other import/export filters. new calc engine for massive parallel calculations of formula cells using GPU via OpenCL. Thanks to the new formular interpreter. Libreoffice 4.2 is still not on the stable release. So if some problem happens then revert back to old Libreoffice with pp purge. PPA description says, this isn’t for the average user so only use this PPA if you know how to use ppa-purge to revert the changes in case something doesn’t work as expected. However, “it is way better to use packages from this PPA than using the *.deb files that The Document Foundation provides upstream”, mentions the PPA description. Important: when running “dist-upgrade”, make sure it doesn’t remove some important system packages!